DS-P1-M target. 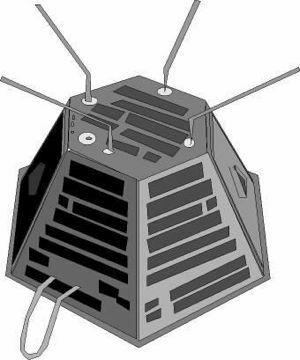 Each face of the armoured polyhedronal satellite was covered with plates to measure the direction and magnitude of impact of shrapnel from the IS-A ASAT satellite. Ukrainian military anti-satellite system target satellite. Target for IS ASAT systems tests. ASAT target satellite built by OKB-586, Russia. Launched 1970 - 1982. Status: Operational 1970. First Launch: 1970-12-22. Last Launch: 1982-06-06. Number: 15 . Gross mass: 600 kg (1,320 lb). A lighter target that could be launched by the smaller Kosmos rocket replaced the first R-36 launched IS-P target. Developed by KB Yuzhnoye (KB-3 Section; Chief Designer V M Kovtunenko). Although it acted as a target for the IS anti-satellite system, it was designed for both anti-ballistic missile and anti-satellite testing. It was more than a passive target, including an impact registration system and elements of the hit (direction, velocity, etc.). First flight trials were in August 1970. It was in service from 1973 to 1983, at which time the Soviet Union unilaterally abandoned anti-satellite operations. An upgraded version flown from 1975 carried the code name Lira and had unknown differences to the original design. Family: anti-satellite target. Country: Ukraine. Launch Vehicles: R-14, Kosmos 3, Kosmos 11K65M. Launch Sites: Plesetsk, Plesetsk LC132/2, Plesetsk LC132/1. Agency: MO, Yuzhnoye. Bibliography: 2, 272, 445, 6, 99, 12267. 1970 December 22 - . 21:30 GMT - . Launch Site: Plesetsk. Launch Complex: Plesetsk LC132/2. LV Family: R-14. Launch Vehicle: Kosmos 11K65M. FAILURE: First stage failed 1 second after launch.. Failed Stage: 2. DS-P1-M s/n 1 - . Payload: DS-P1-M s/n 1. Mass: 600 kg (1,320 lb). Nation: Russia. Agency: RVSN. Class: Military. Type: Anti-satellite system target. Spacecraft Bus: DS. Spacecraft: DS-P1-M. Target for IS ASAT systems tests. 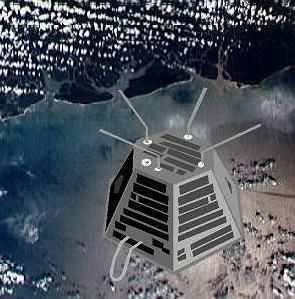 First test of Yangel-desinged target failed to reach orbit..
1971 February 9 - . 18:48 GMT - . Launch Site: Plesetsk. Launch Complex: Plesetsk LC132/1. LV Family: R-14. Launch Vehicle: Kosmos 11K65M. Cosmos 394 - . Payload: DS-P1-M s/n 2. Mass: 650 kg (1,430 lb). Nation: Russia. Agency: MO. Class: Military. Type: Anti-satellite system target. Spacecraft Bus: DS. Spacecraft: DS-P1-M. Completed Operations Date: 1972-02-29 . USAF Sat Cat: 4922 . COSPAR: 1971-010A. Apogee: 552 km (342 mi). Perigee: 522 km (324 mi). Inclination: 65.80 deg. Period: 95.40 min. Target for IS ASAT systems tests. First test using Yangel-designed lighter, cheaper target launched by Kosmos 11K65M booster from Plesetsk..
1971 March 18 - . 21:45 GMT - . Launch Site: Plesetsk. Launch Complex: Plesetsk LC132/1. LV Family: R-14. Launch Vehicle: Kosmos 11K65M. Cosmos 400 - . Payload: DS-P1-M s/n 3. Mass: 650 kg (1,430 lb). Nation: Russia. Agency: MO. Class: Military. Type: Anti-satellite system target. Spacecraft Bus: DS. Spacecraft: DS-P1-M. Completed Operations Date: 1972-08-22 . USAF Sat Cat: 5050 . COSPAR: 1971-020A. Apogee: 995 km (618 mi). Perigee: 990 km (610 mi). Inclination: 65.80 deg. Period: 105.00 min. ASAT target for Cosmos 404 interceptor..
1971 November 29 - . 17:30 GMT - . Launch Site: Plesetsk. Launch Complex: Plesetsk LC132/1. LV Family: R-14. Launch Vehicle: Kosmos 11K65M. 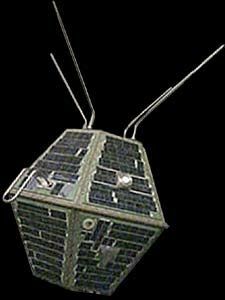 Cosmos 459 - . Payload: DS-P1-M s/n 5. Mass: 650 kg (1,430 lb). Nation: Russia. Agency: MO. Class: Military. Type: Anti-satellite system target. Spacecraft Bus: DS. Spacecraft: DS-P1-M. Completed Operations Date: 1971-12-27 . Decay Date: 1971-12-27 . USAF Sat Cat: 5625 . COSPAR: 1971-102A. Apogee: 286 km (177 mi). Perigee: 199 km (123 mi). Inclination: 65.00 deg. Period: 89.40 min. ASAT target for Cosmos 462 interceptor..
1972 September 29 - . 20:18 GMT - . Launch Site: Plesetsk. Launch Complex: Plesetsk LC132/2. LV Family: R-14. Launch Vehicle: Kosmos 11K65M. Cosmos 521 - . Payload: DS-P1-M s/n 4. Mass: 650 kg (1,430 lb). Nation: Russia. Agency: MO. Class: Military. Type: Anti-satellite system target. Spacecraft Bus: DS. Spacecraft: DS-P1-M. Completed Operations Date: 1973-01-20 . USAF Sat Cat: 6206 . COSPAR: 1972-074A. Apogee: 992 km (616 mi). Perigee: 987 km (613 mi). Inclination: 65.80 deg. Period: 104.90 min. ASAT target launched to test modifications to ASAT interceptor. Interceptor launch cancelled due to technical failure in target telemetry system. Signature of SALT treaty in May 1972 resulted in military being ordered to discontinue further ASAT tests..
1975 December 19 - . Launch Site: Plesetsk. Launch Complex: Plesetsk LC132/1. LV Family: R-14. Launch Vehicle: Kosmos 11K65M. FAILURE: Launch vehicle failed to orbit - unknown cause.. Failed Stage: U.
DS-P1-M - . Payload: DS-P1-M. Mass: 650 kg (1,430 lb). Nation: Russia. Agency: RVSN. Class: Military. Type: Anti-satellite system target. Spacecraft Bus: DS. Spacecraft: DS-P1-M. Apogee: 500 km (310 mi). Target for IS ASAT systems tests..
1976 February 12 - . 13:00 GMT - . Launch Site: Plesetsk. Launch Complex: Plesetsk LC132/2. LV Family: R-14. Launch Vehicle: Kosmos 11K65M. Cosmos 803 - . Payload: DS-P1-M. Mass: 650 kg (1,430 lb). Nation: Russia. Agency: MO. Class: Military. Type: Anti-satellite system target. Spacecraft Bus: DS. Spacecraft: DS-P1-M. USAF Sat Cat: 8688 . COSPAR: 1976-014A. Apogee: 555 km (344 mi). Perigee: 505 km (313 mi). Inclination: 65.90 deg. Period: 95.20 min. ASAT target. Beginning of test of 'second generation' ASAT interceptor. Objective was to complete test series by 1978 ABM treaty date..
1976 July 8 - . 21:08 GMT - . Launch Site: Plesetsk. Launch Complex: Plesetsk LC132/1. LV Family: R-14. Launch Vehicle: Kosmos 11K65M. Cosmos 839 - . Payload: DS-P1-M. Mass: 650 kg (1,430 lb). Nation: Russia. Agency: MO. Class: Military. Type: Anti-satellite system target. Spacecraft Bus: DS. Spacecraft: DS-P1-M. USAF Sat Cat: 9011 . COSPAR: 1976-067A. Apogee: 2,053 km (1,275 mi). Perigee: 915 km (568 mi). Inclination: 65.90 deg. Period: 115.60 min. ASAT target for Cosmos 843 interceptor..
1976 December 9 - . 20:00 GMT - . Launch Site: Plesetsk. Launch Complex: Plesetsk LC132/2. LV Family: R-14. Launch Vehicle: Kosmos 11K65M. Cosmos 880 - . Payload: DS-P1-M. Mass: 650 kg (1,430 lb). Nation: Russia. Agency: MO. Class: Military. Type: Anti-satellite system target. Spacecraft Bus: DS. Spacecraft: DS-P1-M. Decay Date: 1979-10-08 . USAF Sat Cat: 9601 . COSPAR: 1976-120A. Apogee: 614 km (381 mi). Perigee: 558 km (346 mi). Inclination: 65.80 deg. Period: 96.30 min. ASAT target for Cosmos 886 interceptor..
1977 May 19 - . 16:30 GMT - . Launch Site: Plesetsk. Launch Complex: Plesetsk LC132/2. LV Family: R-14. Launch Vehicle: Kosmos 11K65M. Cosmos 909 - . Payload: DS-P1-M. Mass: 650 kg (1,430 lb). Nation: Russia. Agency: MO. Class: Military. Type: Anti-satellite system target. Spacecraft Bus: DS. Spacecraft: DS-P1-M. USAF Sat Cat: 10010 . COSPAR: 1977-036A. Apogee: 2,111 km (1,311 mi). Perigee: 985 km (612 mi). Inclination: 65.90 deg. Period: 117.00 min. Target for IS ASAT systems tests..
1977 October 21 - . 10:05 GMT - . Launch Site: Plesetsk. Launch Complex: Plesetsk LC132/1. LV Family: R-14. Launch Vehicle: Kosmos 11K65M. Cosmos 959 - . Payload: DS-P1-M. Mass: 650 kg (1,430 lb). Nation: Russia. Agency: MO. Class: Military. Type: Anti-satellite system target. Spacecraft Bus: DS. Spacecraft: DS-P1-M. Decay Date: 1977-11-30 . USAF Sat Cat: 10419 . COSPAR: 1977-101A. Apogee: 850 km (520 mi). Perigee: 146 km (90 mi). Inclination: 65.80 deg. Period: 94.60 min. ASAT target for Cosmos 961 interceptor..
1977 December 13 - . 15:53 GMT - . Launch Site: Plesetsk. Launch Complex: Plesetsk LC132/1. LV Family: R-14. Launch Vehicle: Kosmos 11K65M. Cosmos 967 - . Payload: DS-P1-M. Mass: 650 kg (1,430 lb). Nation: Russia. Agency: MO. Class: Military. Type: Anti-satellite system target. Spacecraft Bus: DS. Spacecraft: DS-P1-M. USAF Sat Cat: 10512 . COSPAR: 1977-116A. Apogee: 1,003 km (623 mi). Perigee: 961 km (597 mi). Inclination: 65.80 deg. Period: 104.70 min. ASAT target for Cosmos 970 interceptor..
1980 April 3 - . 07:40 GMT - . Launch Site: Plesetsk. Launch Complex: Plesetsk LC132/2. LV Family: R-14. Launch Vehicle: Kosmos 11K65M. Cosmos 1171 - . Payload: DS-P1-M. Mass: 650 kg (1,430 lb). Nation: Russia. Agency: MO. Class: Military. Type: Anti-satellite system target. Spacecraft Bus: DS. Spacecraft: DS-P1-M. USAF Sat Cat: 11750 . COSPAR: 1980-026A. Apogee: 1,001 km (621 mi). Perigee: 969 km (602 mi). Inclination: 65.80 deg. Period: 104.80 min. ASAT target for Cosmos 1174 interceptor. First in a series of tests to validate functioning of system after extended storage..
1981 January 21 - . 08:29 GMT - . Launch Site: Plesetsk. Launch Complex: Plesetsk LC132/1. LV Family: R-14. Launch Vehicle: Kosmos 11K65M. Cosmos 1241 - . Payload: DS-P1-M. Mass: 650 kg (1,430 lb). Nation: Russia. Agency: MO. Class: Military. Type: Anti-satellite system target. Spacecraft Bus: DS. Spacecraft: DS-P1-M. USAF Sat Cat: 12149 . COSPAR: 1981-006A. Apogee: 995 km (618 mi). Perigee: 989 km (614 mi). Inclination: 65.80 deg. Period: 105.00 min. ASAT target for Cosmos 1243 and Cosmos 1258 interceptors..
1982 June 6 - . 17:10 GMT - . Launch Site: Plesetsk. Launch Complex: Plesetsk LC132/2. LV Family: R-14. Launch Vehicle: Kosmos 11K65M. Cosmos 1375 - . Payload: DS-P1-M. Mass: 650 kg (1,430 lb). Nation: Russia. Agency: MO. Class: Military. Type: Anti-satellite system target. Spacecraft Bus: DS. Spacecraft: DS-P1-M. Decay Date: 1985-10-31 . USAF Sat Cat: 13259 . COSPAR: 1982-055A. Apogee: 1,003 km (623 mi). Perigee: 986 km (612 mi). Inclination: 65.80 deg. Period: 105.00 min. Target for IS ASAT systems tests..